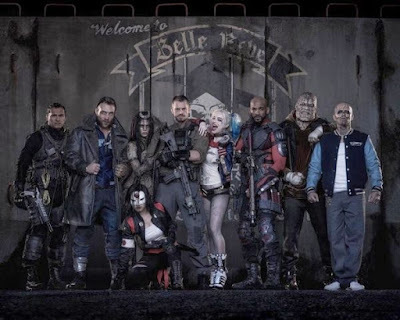 Suicide Squad is like an anti-Avengers group. They are a group of individuals retained to take on and put away bad guys, even though they too are bad buys. They may be bad, but the other ones are eally bad guys. But our anti-heroes have been captured and put in prison. The reason they're working together, according to early film summaries, is to get their prison sentences reduced. "A secret government agency run by Amanda Waller, named A.R.G.U.S creates a task force comprised of super villains, the "Suicide Squad". They are assigned to execute dangerous tasks in exchange for shorter prison sentences." It's written and directed by David Ayer and his resume includes the action flicks Fury, Training Day, End of Watch and the first The Fast and the Furious. To be honest, in my mind, he has one hell of a resume, making this film look like it has a huge potential.